Installing the Danfoss ECmat 200W in any room of your home creates that luxurious feeling a warm floor gives. ECmat can be installed under tiles, stone, laminate, carpet, wood and vinyl flooring giving you the ultimate choice in how you decorate your rooms. The ECmat is ideal to use on new builds and renovations, the mats are only 3.5mm thick, limiting the raising of the floor to the bare minimum. 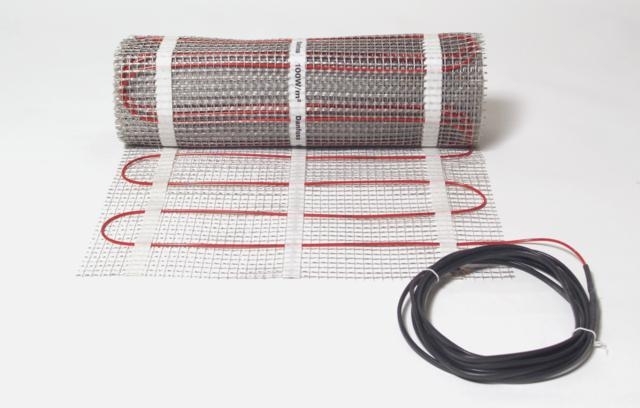 Danfoss are so confident of the quality of their cables that every mat comes with their unique 20-year Danfoss warranty. This comprehensive warranty includes the cost of installation, the product and the flooring. Danfoss recommend you install the mats on top of insulation boards to get the best out of your heating.